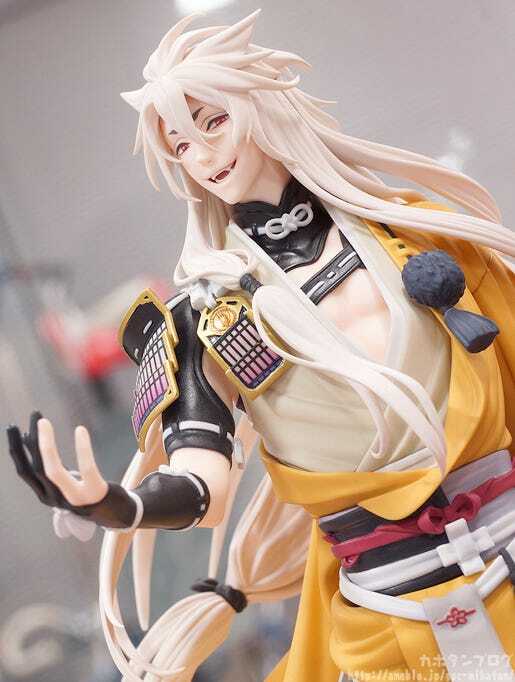 Kahotan's Blog | GOOD SMILE COMPANY Figure Reviews | Today’s Touken Ranbu Round-Up! Whenever I had a sports day at school my lunch would always be inari-zushi! Now whenever I eat inari-zushi my body feels all powered up and ready to do anything! Plus they’re delicious! 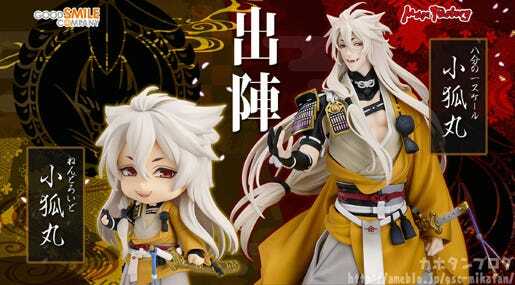 Anyway, as of today Nendoroid Kogitsunemaru is up for preorder! Today I’m going to be taking a closer look at them! 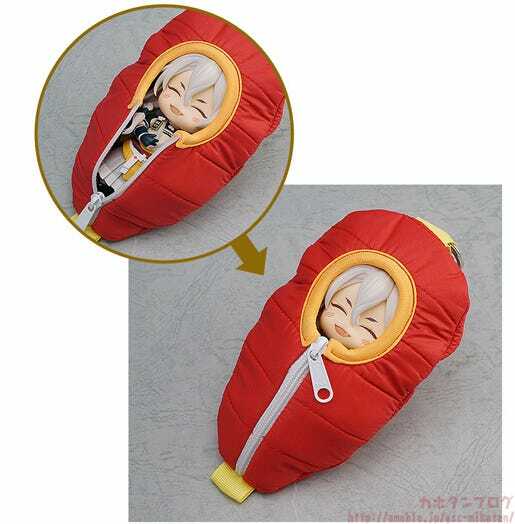 The previously released Nendoroid Pouch: Sleeping Bag is back again with a special design based on Kogitsunemaru! The pouch can fit almost any Nendoroid inside and keep it warm and safe! 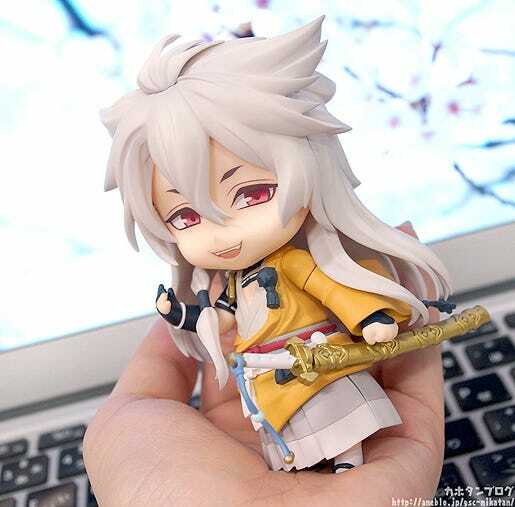 Take your Nendoroid Kogitsunemaru with you wherever you go! 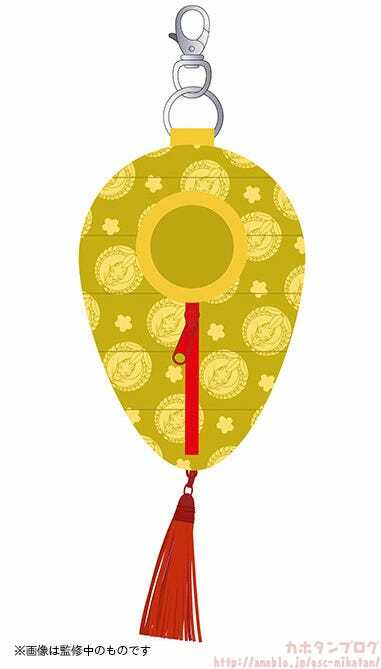 (The above item is the Nendoroid Pouch: Sleeping Bag – Red Ver. This allows you to carry around the adorable Kogitsunemaru with you wherever you may go! 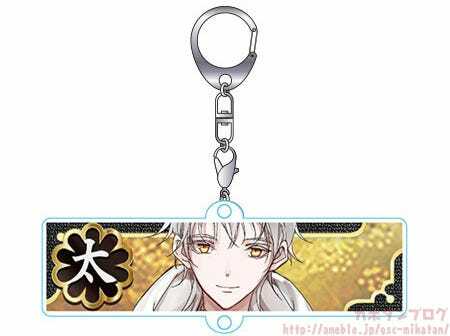 From ‘Touken Ranbu -ONLINE-‘ comes a set of character keychains that can link together, recreating the look of the in-game screen! 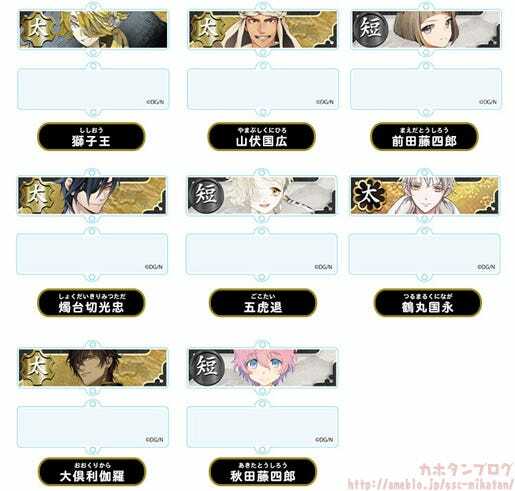 The line-up this time around includes eight new characters: Shishiou, Yamabushi Kunihiro, Maeda Toushirou, Shokudaikiri Mitsutada, Gokotai, Tsurumaru Kuninaga, Ookurikara and Akita Toushirou. Specifications Acrylic Keychains. Eight to collect. As you may have guessed from the product name, these keychains attach together to form a long chain of keychains! My name may mean ‘small fox’, but I’m by no means small. 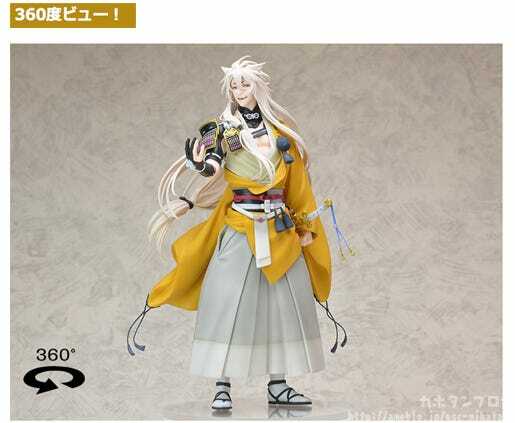 From the popular browser game ‘Touken Ranbu -ONLINE-‘ comes a 1/8th scale figure of Kogitsunemaru, the great sword. He has been faithfully sculpted based on the pose he takes when you receive him in the game, with his long, flowing hair carefully detailed to ensure that he can be proud of his beautiful ‘fur’. 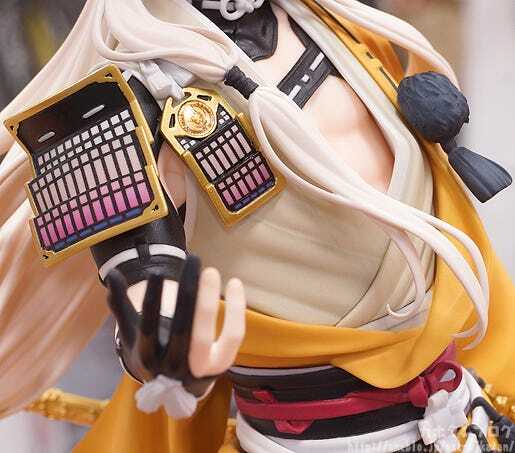 His outfit opened out at the chest to reveal his impressive muscles has also been intricately sculpted down to the finest of details, and the his back which was never even visible on the original illustration is also filled with charm for fans to enjoy! 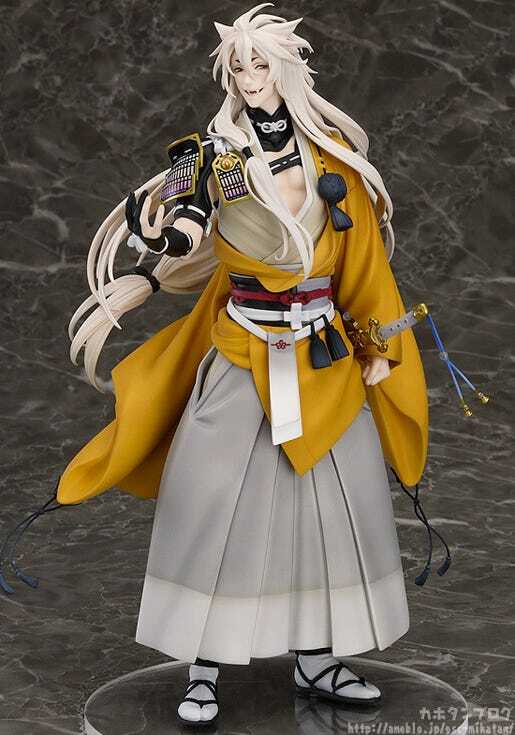 Be sure to add the powerful Kogitsunemaru to your collection! I borrowed him from Akane-Eiseihei so I could grab a few photos of my own…! I think I’ll do a full review at a later stage, but until then enjoy some of the photos! 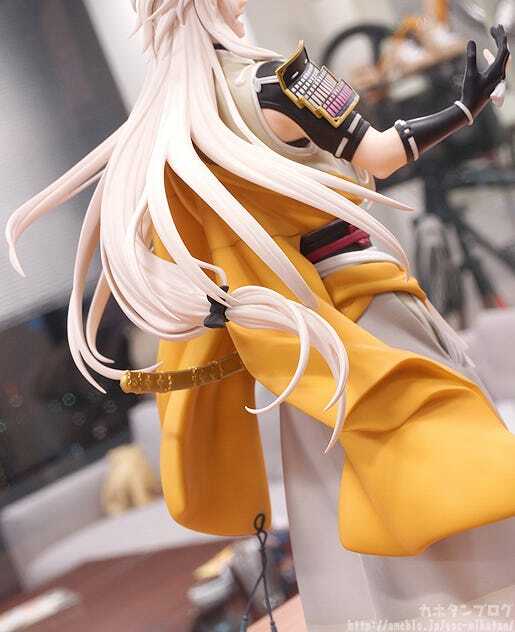 Also, if you head to the Kogitsunemaru Product Page, you’ll also find a rotateable view of the figure! Phew! 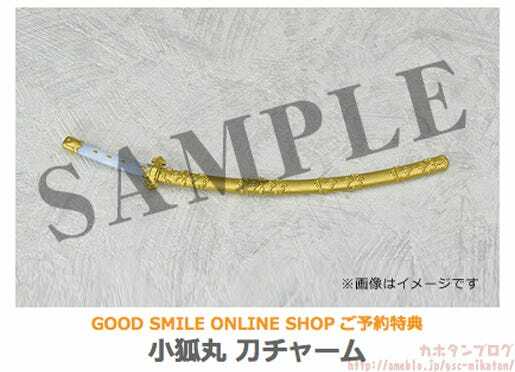 That brings us to an end of the Touken goodies that were announced today! I hope there was something that caught your eye! If not… I’m sure there will be more Touken goodies on the way soon!! Here is a quick summary of today’s products with links to each of the product page! From next week the two figures will also be on display for everyone to go see! ◇ A Look at This Month’s Highlights! · The leader of the Biscotti Knights Praetorian Guards unit! 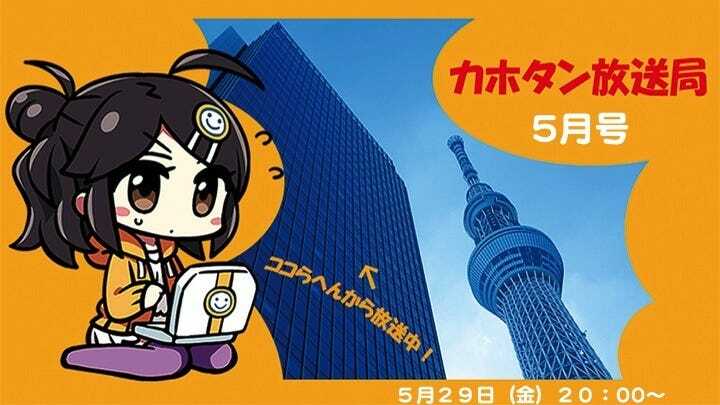 · The latest in the Nendoroid Co-de Series! Dressing Pafé! · Someone more from Senbonzakura? 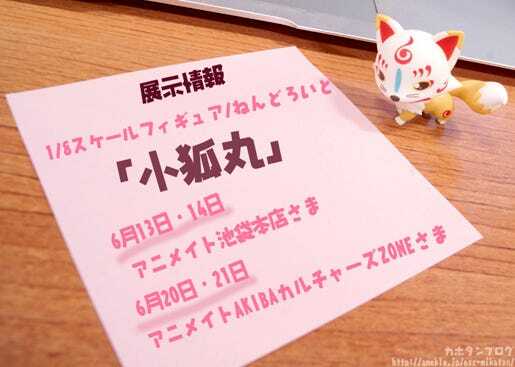 The guest MC this time around is Akane-Eiseihei! In Japanese, the fox says ‘Konkon’!